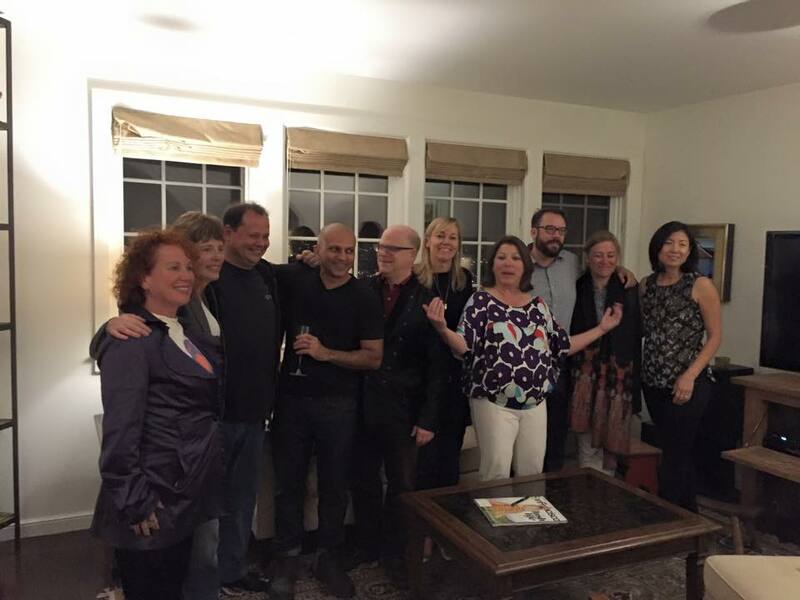 I had moved from Boston to San Francisco with Entertainment Publications, a publishing company. So when I started at Match, I literally knew nothing about this new medium except that it held great potential. Did I mention “potential” is one of my middle names?! I think that holds true for all of us creative entrepreneurs. 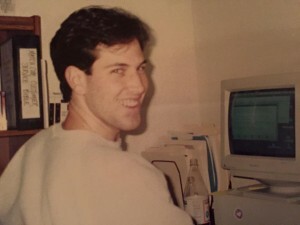 I can’t believe that twenty years ago, my colleague and good friend, Chris Butz, sat me down with a large piece of paper and mapped out this Internet thingy for me, drawing and laying out how it is all connected and how powerful it is, especially once more people get online. As for my role, I wore many hats, which is a part of the fabulous fun and hard work required of a start-up. 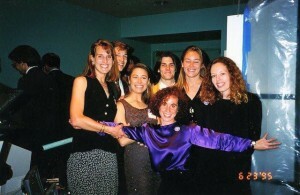 I was doing marketing, business development, promotions, event management, and even PR before Trish McDermott joined us. Come by and see some of my work by clicking here! 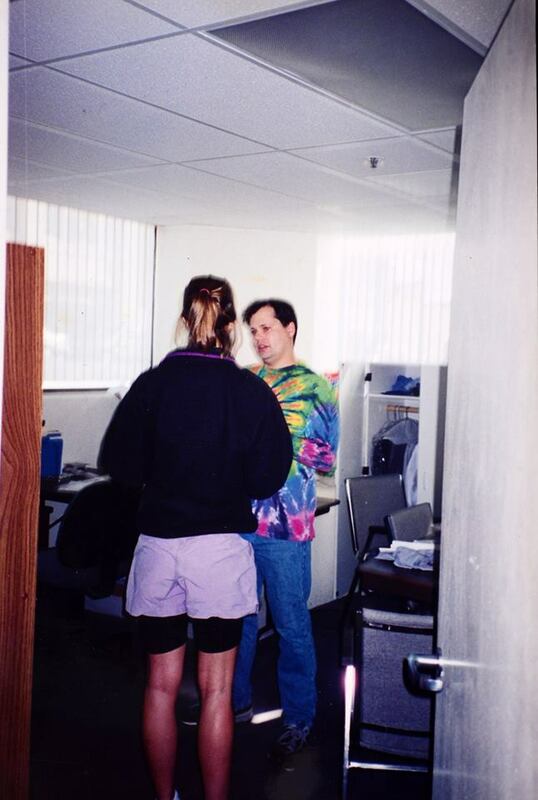 Some of my favorite early memories from back in the day, was our intimate team meetings, where we all sat Indian style on the floor, with Gary Kremen, the Founder and our Fearless Leader, or Fran Maier, the Co-Founder and General Manager, leading the meetings. With no conference rooms or expensive tables and chairs in our cozy basement, we really bonded as family, and the deep desire to succeed wasn’t just about the usual financial potential, but it came from the heart. 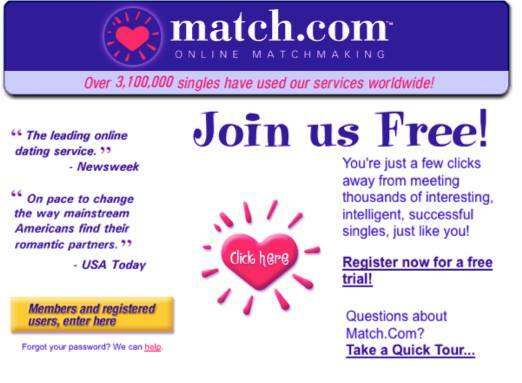 And isn’t that the best way to launch the largest matchmaking service on the planet?! I’m actually quoting the “Guinness Book of World Records” who state this as a fact! Really!! 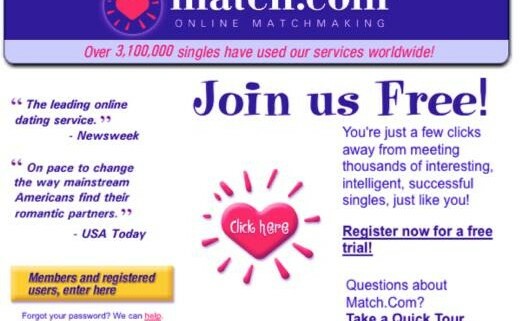 There were so many memories, learnings and new experiences that I can honestly write a book of my 1 ½ years at Match.Com. This may be a possibility, though my last book took me 3 years to write, so I am not so focused on this for now. 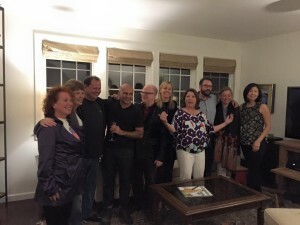 In the meantime, we had a most amazing 20 year reunion celebration back in San Francisco, which was not only heart-warming to see my Match family again, but also allowed me to ask a few of them some questions for this blog. What was one of your biggest business learnings from launching the first online matchmaking service on to the Internet? Gary Kremen: The important of distribution channel, customer acquisition cost and brand. On a personal level, I learned to stay humble and hungry and prove myself every day. Fran Maier: We were in a new business, “online dating”, which was a rite of passage with no real default in place. It was more like “dating in the wild”! It was important to have a target market and to learn how to interact with them with integrity. For us, this market was appealing to women, which meant that we had to build our reputation up in order to build this network. 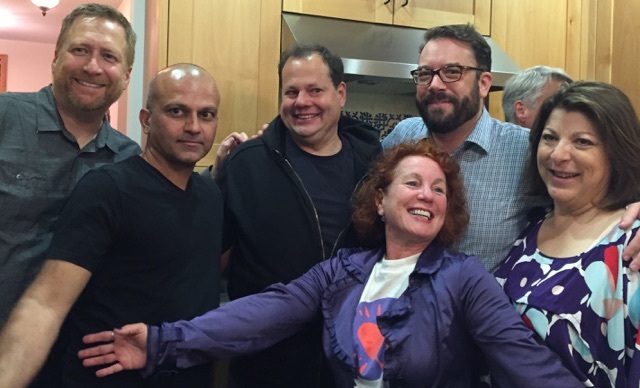 Trish McDermott: When I was coaching the CEO, Gary Kremen, with media training, I tried to get him to fit into a box. What I realized soon after was that Gary was already perfect as he was, as he was genuine and he shot from the hip. My big learning here was that passion is better than perfection! Fran remembered one couple who came to our office, a successful match, and they were in their 70’s. He was a sailor from World War II! That was definitely out of our demographic. They were so happy to have found one another, and we had constant reminders of what a good job we were doing as our success database grew exponentially! Trish and I had a good laugh at the reunion party when she recalled how we were taking pictures of Match.Com members at one of our parties, and then uploading it to their profile (no cell phone yet!). A reporter came up to Trish and remarked, “You are crazy, who is going to put their photo up?” Lot’s of LOL’s! And now Match’s success has led to over 1 million babies! We’ve not only brought love to the planet, but we’ve contributed to a whole new generation. If you have a Match story to share, please do so in my commentary section below, and thank you so much for stopping by! Dear Spark, as you know very well, I am one of your success stories. In 2001, after I moved to London and left my husband of eight years and the father of my two children, you said to me “Ange, you can’t stay home and look after your kids. You need to date.” My immediate answer was “I don’t need a man.” I was enjoying my new found freedom way too much. But you kept at it. So much so that in November of that year, I gave in. The writer in me was intrigued by this online dating site and I thought I myself I could perhaps use that in one of my novels. As I was about to close down my account in February 2002, a man sent me an message through math.com. The last one I would receive. We talked over the phone for three weeks then decided to meet. He drove all the way to London (a two and half drive) just to meet me. The following summer, I moved out of London to get closer to him. Thirteen years down the line and we are getting married this summer in a beautiful cottage in Cornwall.